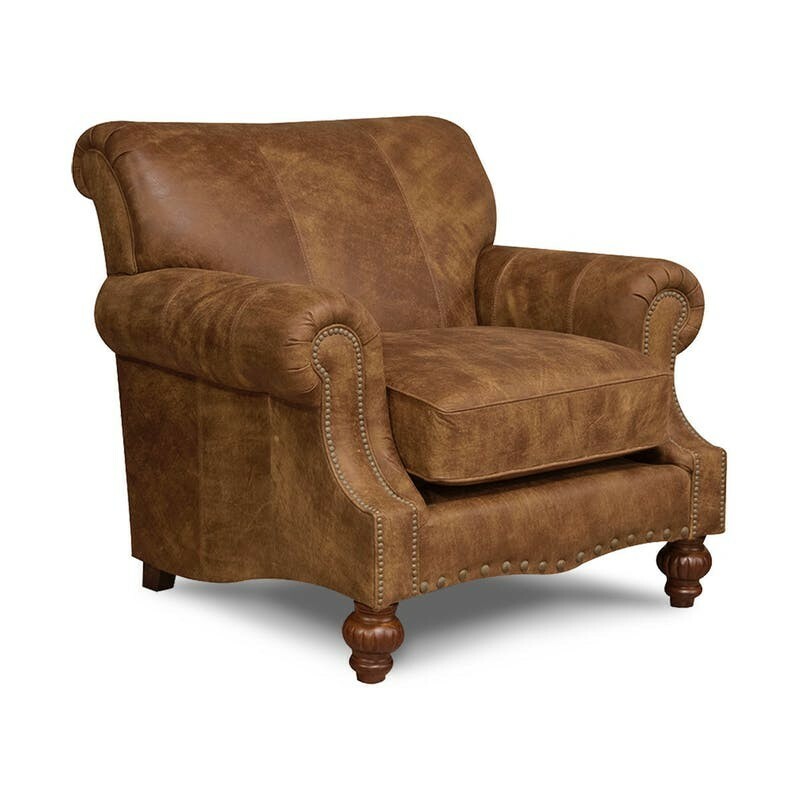 Transitional style and comfortable seating are yours with the Loudon collection. 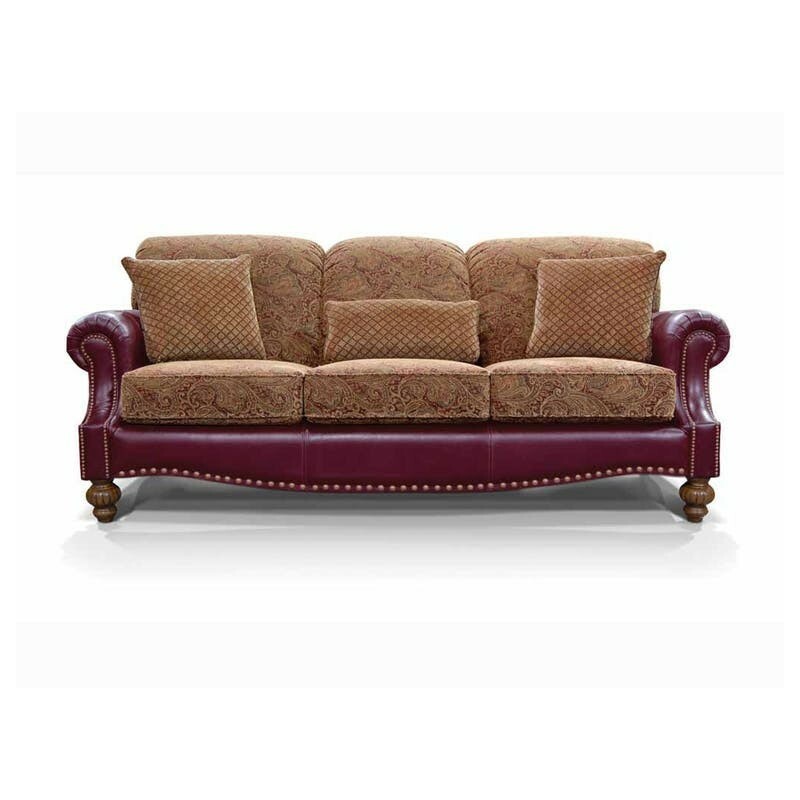 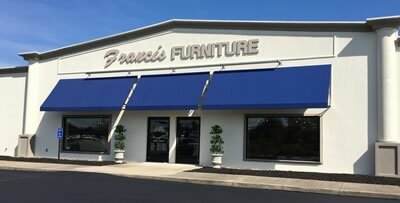 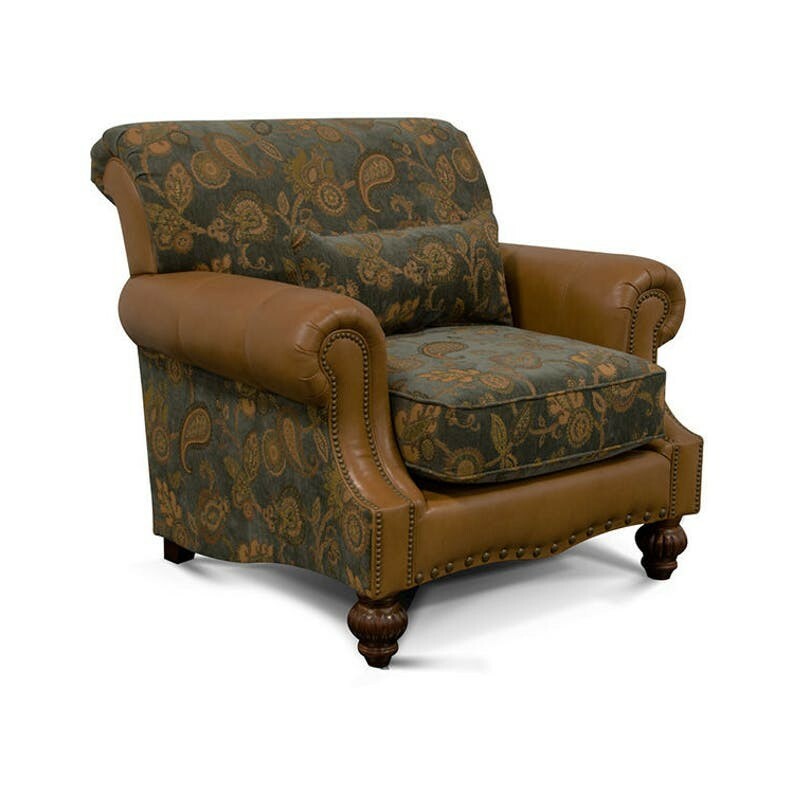 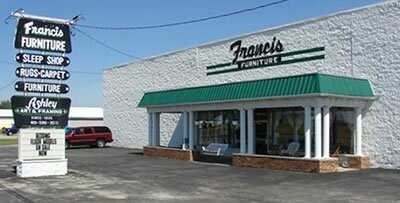 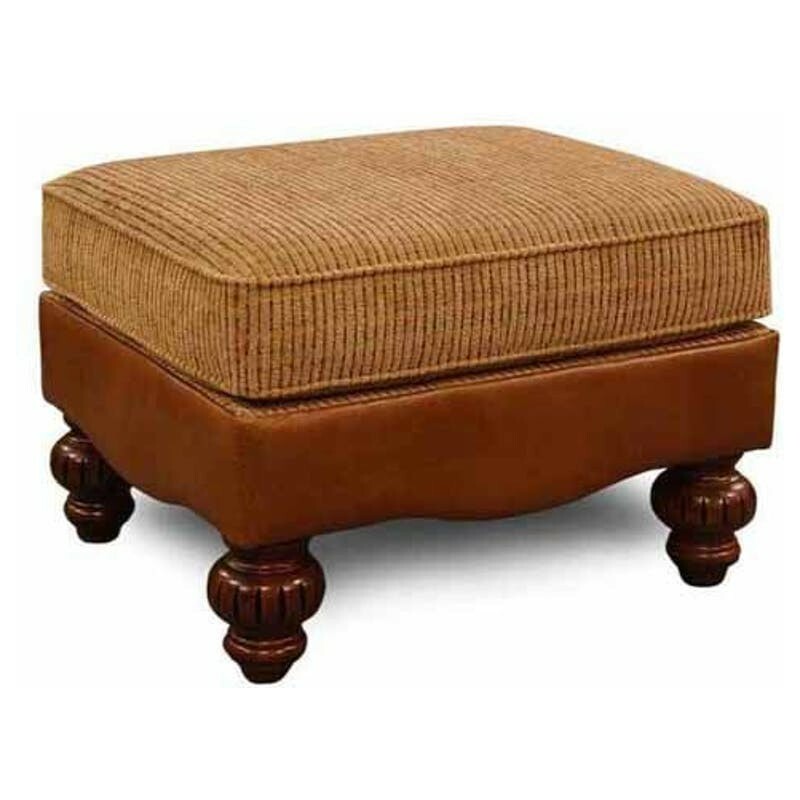 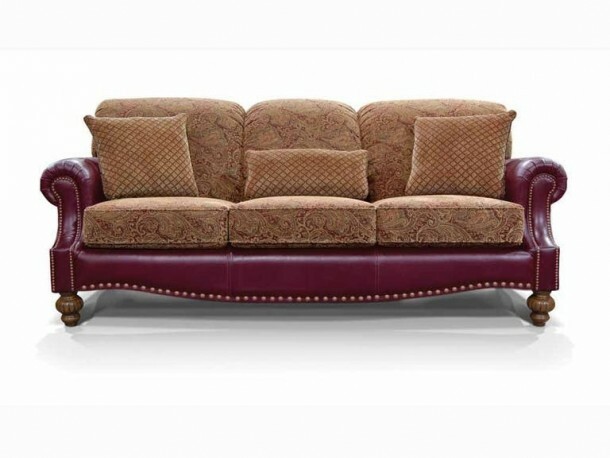 This mixed media (fabric inside/leather outside) style features a high back with three semi attach back cushions over three box end cushions, arm accented with small nail head trim, front rail accented with larger nail head trim, all help turn this classic style into a work of art. 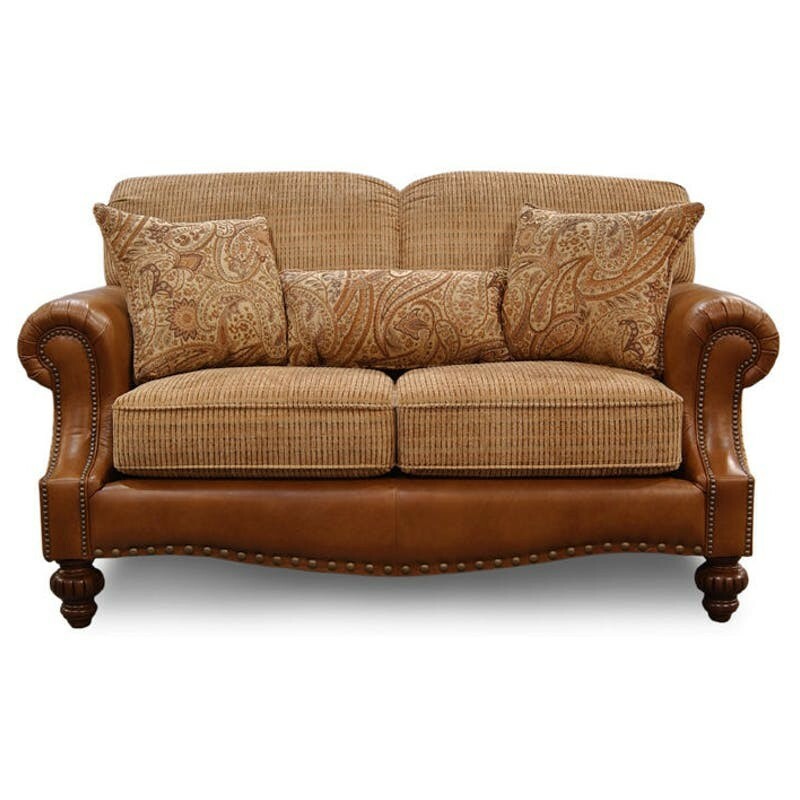 Contrasting throw pillows and kidney pillow with beautiful wooden sculptured legs add the finishing touches.